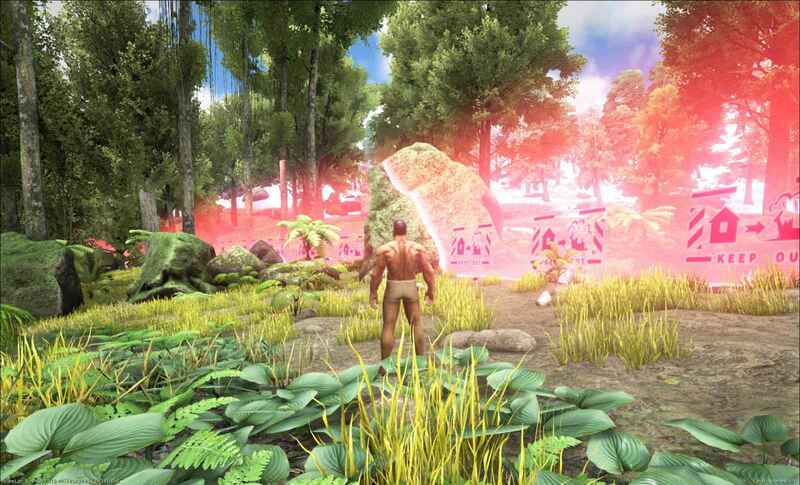 Home News ARK: Survival Evolved – Erupting Volcano Incoming! ARK: Survival Evolved – Erupting Volcano Incoming! 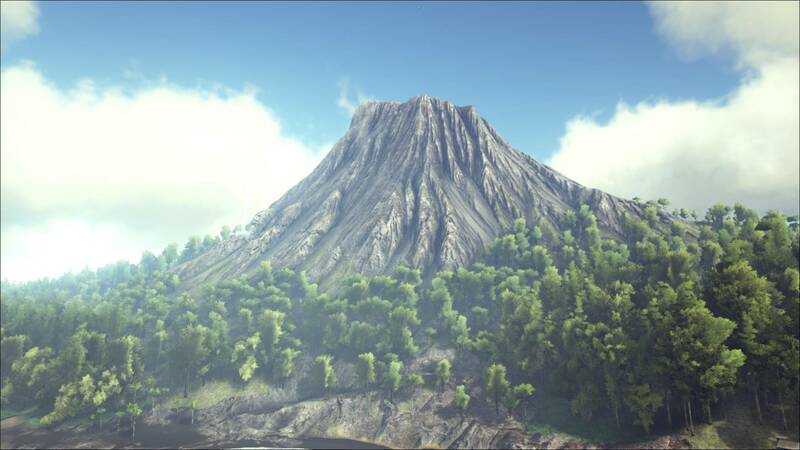 Located near the centre of the map, close to the blue obelisk, is a volcano, the tallest peak in ARK: Survival Evolved, making for a stunning view and vantage point. Well not anymore! 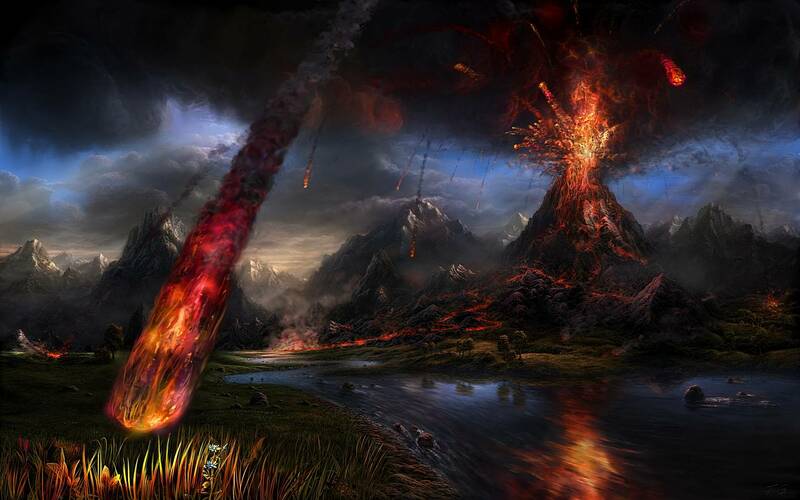 In a few days the famous ARK island Volcano will erupt spewing lava and chaos down upon its players. Developers, Studio Wildcard, strongly suggest any nearby residents to evacuate immediately. ARK’s next big PC update, labelled v257, is scheduled for release on the 3rd of May; and with it comes a nasty natural disaster. The once dormant volcano perfect for metal farming and base-building will be getting a molten make-over. Wildcard is being extremely vocal about the event, making sure to warn all players about the utter destruction that is about to take place. The developers are urging players to pack up shop and move away if inside the blast radius. All creatures, creations and structures will be obliterated. To help players move outside of the danger zone, Wildcard has added in-game warning markers surrounding the volcanic red-sector. This is not the first time the developers have added temporary boundary markers; way back in v243 we had a similar situation when the immense redwood forest was being added to the island. Crossing that line means doom. With the coming carnage is not only a change to the surrounding landscape but to the volcano itself. According to Studio Wildcard, the eruption is set to transform the volcano, introducing the entrance to ARK’s new Tek cave. This cave may very well end up being the final dungeon for ARK: Survival Evolved. 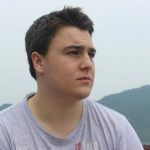 It will require all previous Boss and Alpha Predator Trophies to access and if beaten, players will ascend to an even greater level. Co-founder Jeremy Stieglitz stated that this ascension “basically means beating the game and getting a higher level cap with more Engrams.” However, this so called ascension process will be subject to change in the near future, with very different in-game mechanics. Stieglitz made it clear that you needn’t worry. The volcano will still be a hot spot for metal farming; but players will just have to be a little more cautious and steer clear of the bubbling lava.